Millions of vehicle accidents occur every year, leaving hundreds of thousands of people injured or traumatized. In a world where technology has taken greater leaps and bounds in the last 20 years than the previous 100, our responsibility to be safe and careful drivers has grown. Unfortunately, many drivers haven’t gotten the message. Our firm’s job is to make sure drivers and insurance companies understand their role in providing for injured and grieving people. People throughout the nation have a natural dependence on motor vehicles. In this day and age, it is almost impossible to get from place to place without having a vehicle – we simply live too far apart to travel by foot. This, however, exposes us daily to a considerable amount of danger. Although they are a modern day convenience, they are not perfectly safe; accidents occur all the time and the victims often walk away with more than just a few scrapes and bruises. Have You Been Injured in a Serious Traffic Accident? If you have been victimized in an accident of any kind, it is in your best interests to get the involvement of an attorney well-versed in these types of claims. Someone proven to know how to win. of this nature will likely suffer from more than just physical damage and we are therefore committed to ensuring that our clients receive the comprehensive compensation that they deserve to recover in all aspects of their life. Find out how today by requesting a 100% free consultation with our legal team. We recognize no two claims are the same and remain dedicated to providing personalized attention in a variety of types of situations. Why Else Should You Choose Our Firm? We care about our clients and put their needs above our own. We are effective both in negotiations and during trial. The worth of your motor vehicle accident case is the accumulation of every loss and expense incurred by the accident. Our experience with boating, trucking, and car collisions means our firm is able to accurately identify the fairest settlement or jury award for your injuries. In the case of long-term injuries, we work with economic experts to ensure that your compensation demand is adjusted for inflation, allowing you to have peace and security for decades to come. Most of the expenses associated with a motor vehicle collision aren’t medical—meaning your health insurance won’t cover them. Even if your health insurance covers your health expenses immediately after the accident, what if you require long-term care? What if you need ongoing treatment for pain relief or to maintain mobility? Who will pay for groceries and shelter while you’re unable to work? Motor vehicle collisions impact people’s lives in ways we can’t predict. All we can predict is that you’ll need financial support to survive while you get better. Otherwise, you may be forced to work while injured—and you’ll pay for that decision sooner or later. The best way to secure your future is to hold drivers (and insurance companies) accountable for their behavior. That’s what Hurt In Mississauga is here for. One of the most common forms of motor vehicle accidents include the most popular form of transportation – the passenger vehicle. These accidents can occur for a wide variety of reasons, from drunk drivers to those distracted by handheld devices and even fatigued drivers. If you have been victimized we encourage you to get our involvement today. Motorcycles are a national symbol for speed, youth, and freedom. They, however, also leave the operator incredibly vulnerable to the elements. Due to the build of a motorcycle, even the slightest bump against a car can send it careening, ejecting the rider. This can cause serious injuries that range from road rash to broken bones, brain damage, and more. Bus accidents put a lot of lives in jeopardy, including passengers, other drivers on the road, and even nearby pedestrians. As such, it is easy to see why these types of collisions are often considered to be catastrophic in nature. The number of people that can be harmed, as well as the severity of the harm that can be caused, make bus accident victims individuals that should not go without sound legal representation. Recovery for your injury and personal damages will likely depend to a great degree on the legal counsel with whom you choose to work. In the rural areas of Ontario, ATVs are a common source of fun and an often utilized tool for those who work outdoors. They, however, are also deeply dangerous. No matter whether the accidents were caused by a defect in the vehicles design or by another negligent third party, those who are injured should not hesitate to seek legal representation. Not every motor vehicle accident occurs on the roadways. In fact, waterways are just as prone to serious and debilitating accidents. Boats do not steer as easily, do not have a car’s braking system, and are often operated by those who are not properly trained. 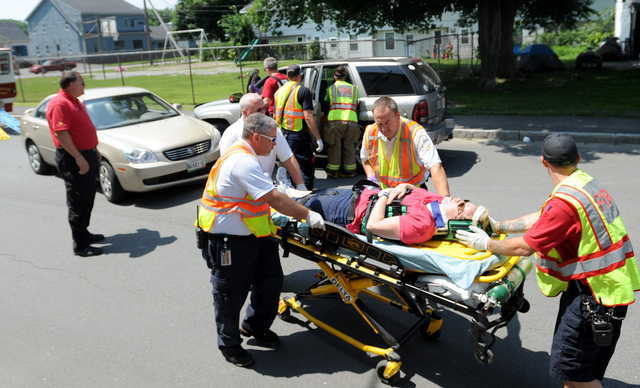 This can result in serious accidents that can cause debilitating injuries to the victims. Large commercial trucks are no rare sight on Ontario highways. While operated by professional drivers, they are not exempt from being in accidents. When exhausted, distracted, or not properly trained, truck drivers can cause serious injuries – magnified by the size and weight of the vehicle. Even defective equipment or poor maintenance of the truck can lead to such accidents. If you have been injured in a motor vehicle accident of any kind throughout the Mississauga or surrounding area, it is important that you do not hesitate to contact an experienced Mississauga personal injury lawyer from Hurt In Mississauga. In our career, we have tried more cases than most attorneys are able to handle in a lifetime. This has given us a real world experience and an ability to take cases to trial. While most attorneys will do everything that they can to avoid the courtroom, we make it clear that we are not afraid to go there. In fact, we prepare every single case as if we are going to trial. This makes the opposition more likely to come to a reasonable settlement and if they refuse, we’re ready to fight. So don’t waste another moment. When you have so much on the line, you cannot afford to procrastinate. Give us a call to let us discuss your claim in more detail. Once we have decided upon an appropriate course of action, you can be confident knowing we will be there every step of the way.